Don't lose your place with these super German bookmarks! 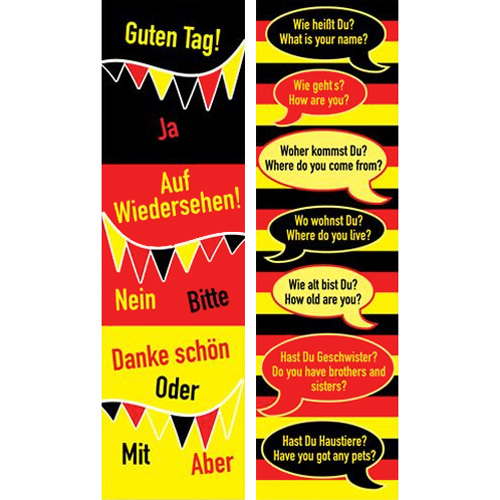 Double sided and printed onto strong card, each bookmark features various phrases to help children to communicate in German. Really useful and attractive items to use as an incentive in class for that little extra we encourage the children to give to their language learning.